Lip Augmentation has become a popular procedure for both men and women due to its ability to enhance the appearance of small, thin, aged or deformed lips. A variety of materials can be used for this procedure, Dr. Haddle will determine the best solution to give you a natural, full look. 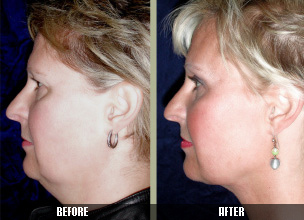 Chin implants help balance the face and can create an immediate and dramatic transformation. They do so by improving the underlying structure of the face, which strengthens a weak chin. 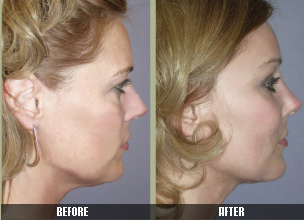 A neck lift is often performed in conjunction with a face lift, liposuction or a chin implant. It results in a more balanced face and defined neck and jawline. Ear contouring, or otoplasty can reposition the ears closer to the head, make them smaller, improve their shape and correct congenital abnormalities. Cheek augmentation, or cheek implants, restore fullness to the cheeks, balance facial structure, highlight the eyes and define the face. Microneedling can minimize the appearance of fine lines and wrinkles which are often the first signs of visual aging. This treatment allows your body to replace older skin providing a newer more youthful appearance. 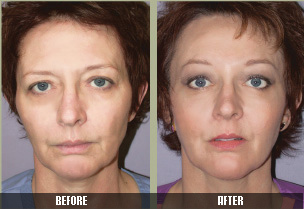 The deeper plane face lift is a newer face lift that is less traumatic and re-suspends facial muscles and tissues at a deeper level than in the traditional face lift. The brow lift is frequently performed in conjunction with a face lift in order to rejuvenate the upper third of the face and return brows to a more youthful position. The eyelids are one of the first places age shows. An eye lift addresses eyes that are puffy, have sagging skin and look tired even when you are well rested.